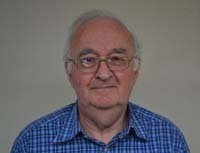 Elected to represent Bulk Ward from May 1967 to May 2007. Elected to represent Skerton East in May 2007, May 2011 and May 2015. Labour Parliamentary Candidate in 1983.